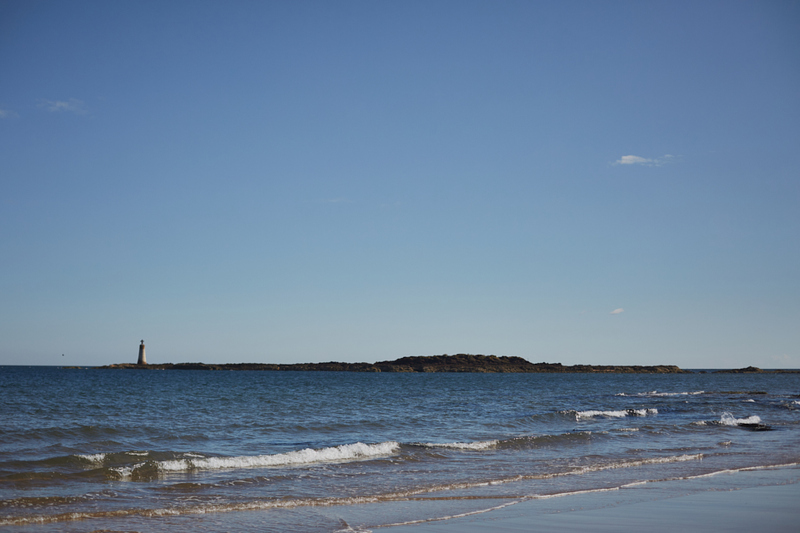 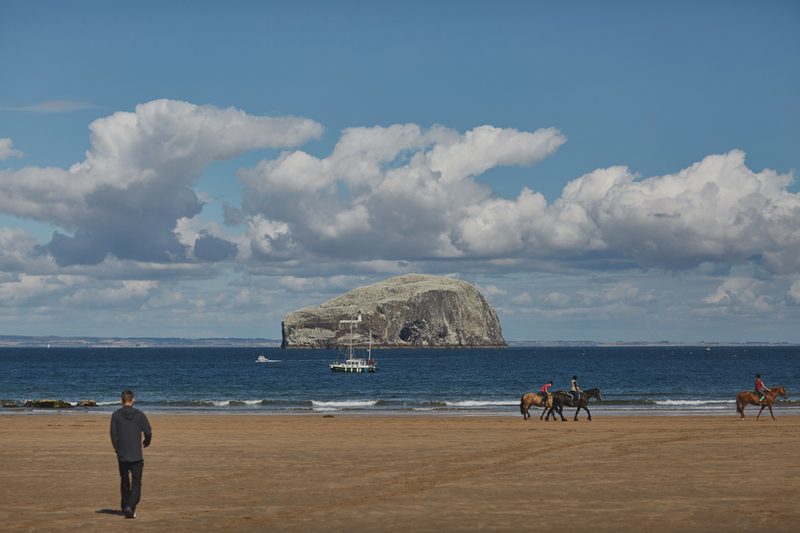 I love the sea side in Scotland. 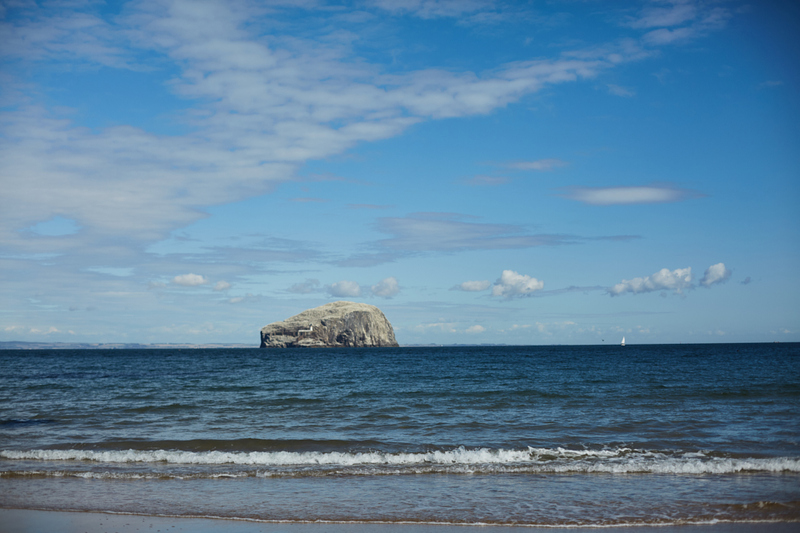 I am not a big fan of swimming, however the sound of the sea relaxes me. 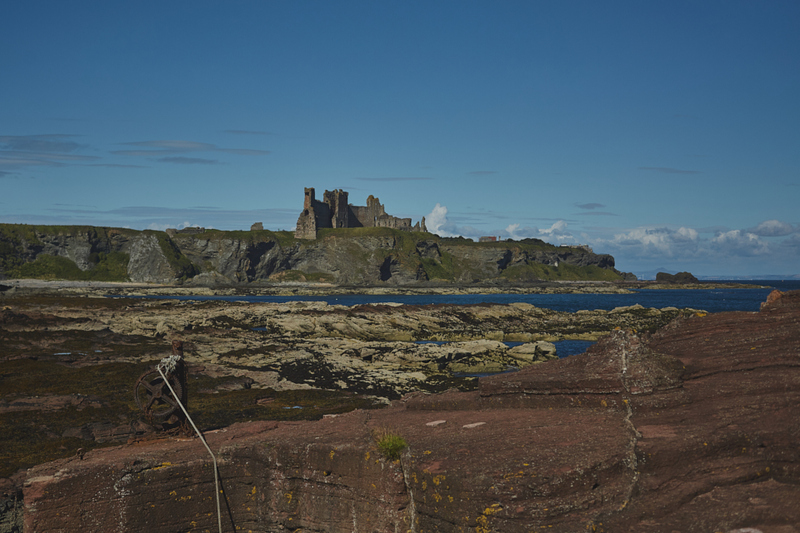 I love going to the Scottish sea side, not far from Edinburgh for these amazing views of cliffs, ruins of the castle and the sea. 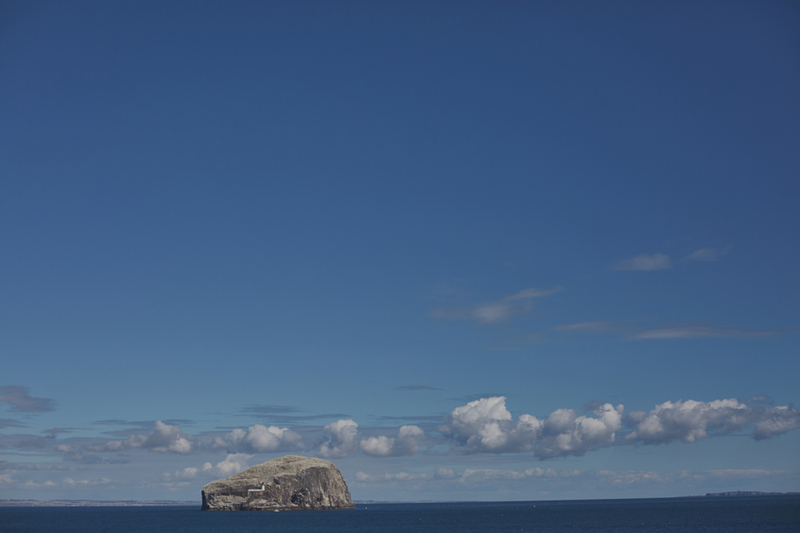 And the Bass Rock. 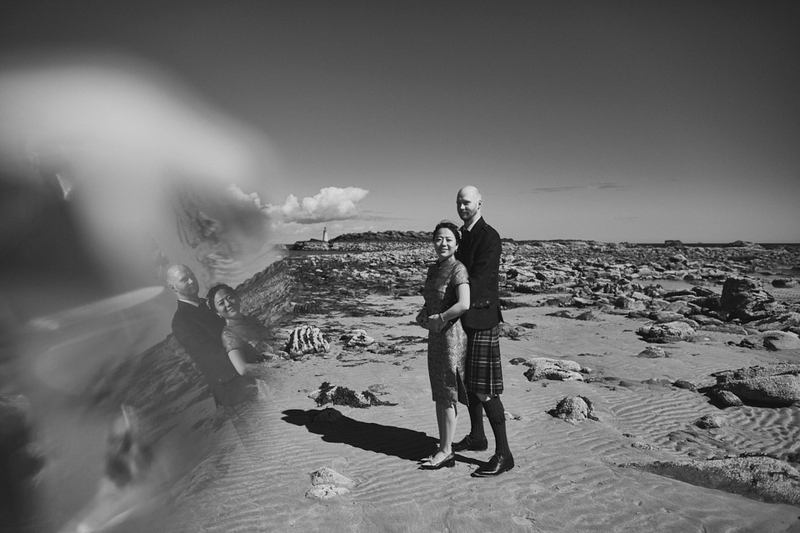 These lovely people got married in summer time but there was no sign of sun that day. 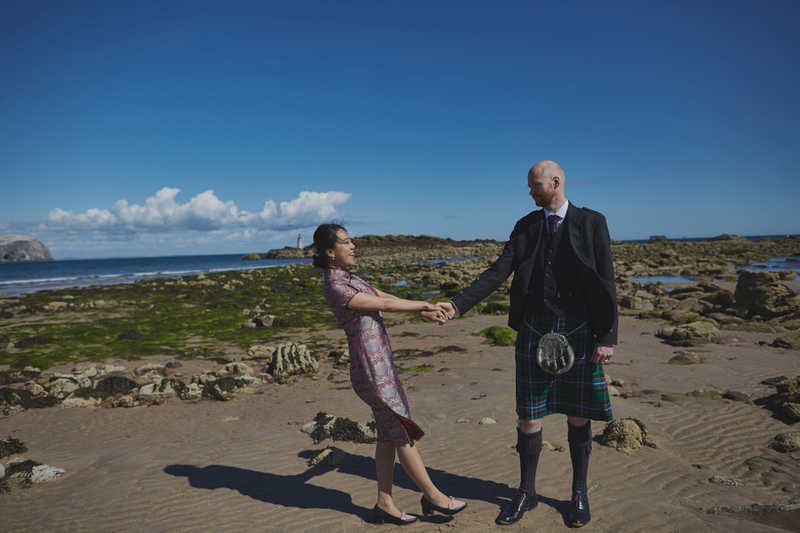 So they decided to have an after wedding photo session on a sunny, glorious day! 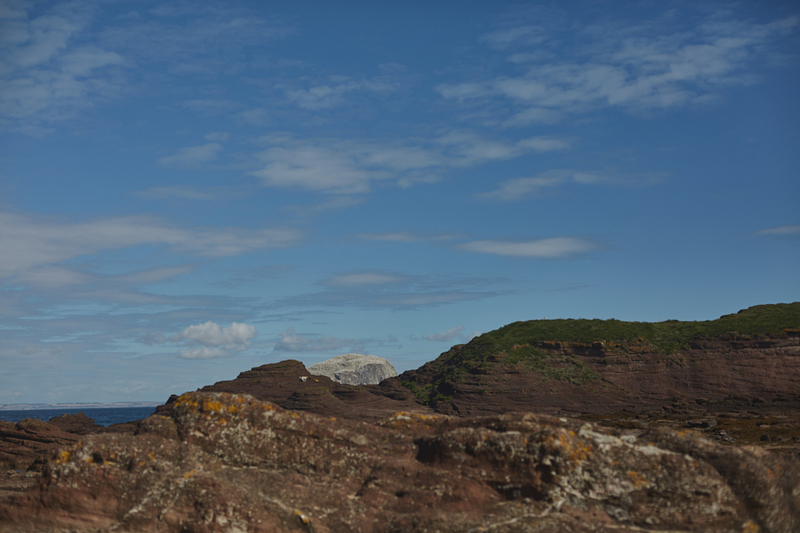 Scotland offers fantastic spots for photography. 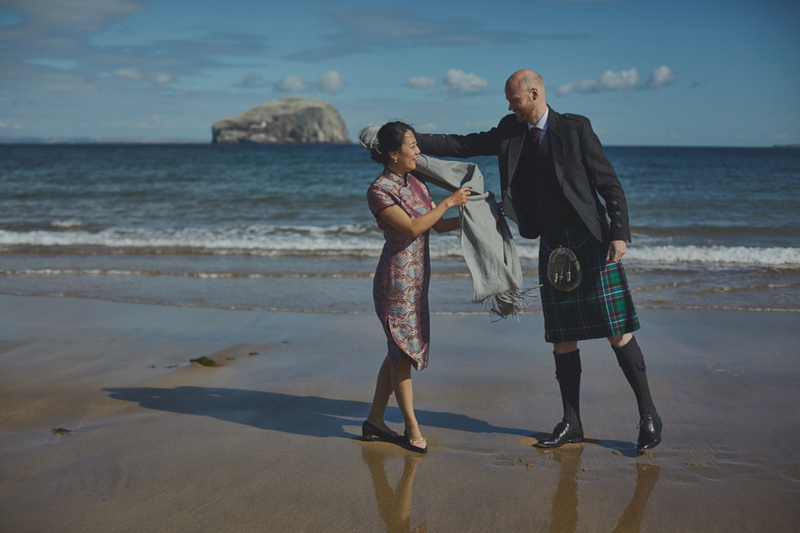 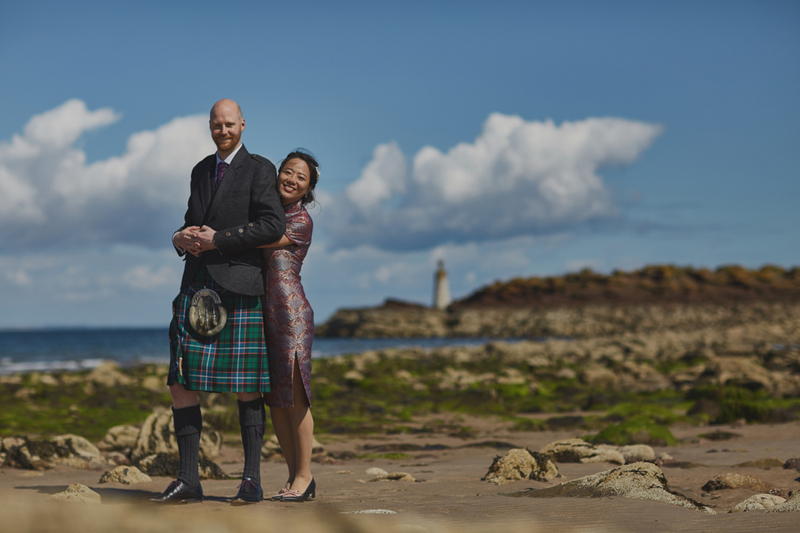 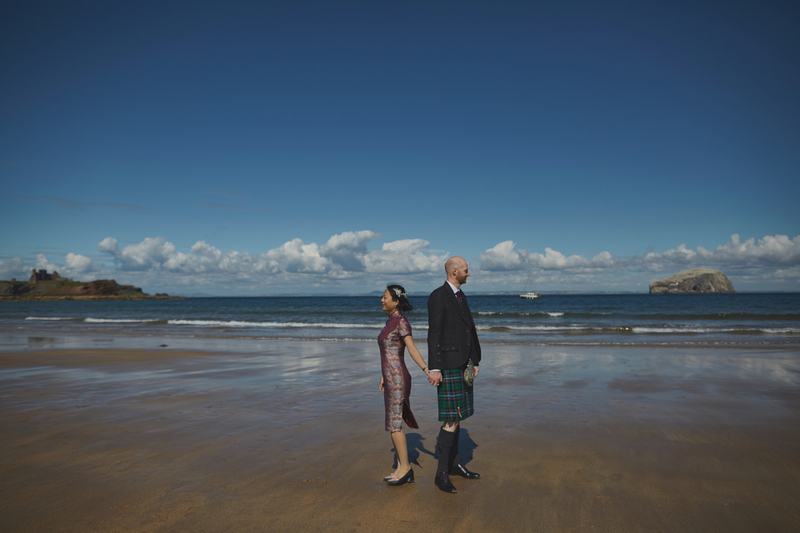 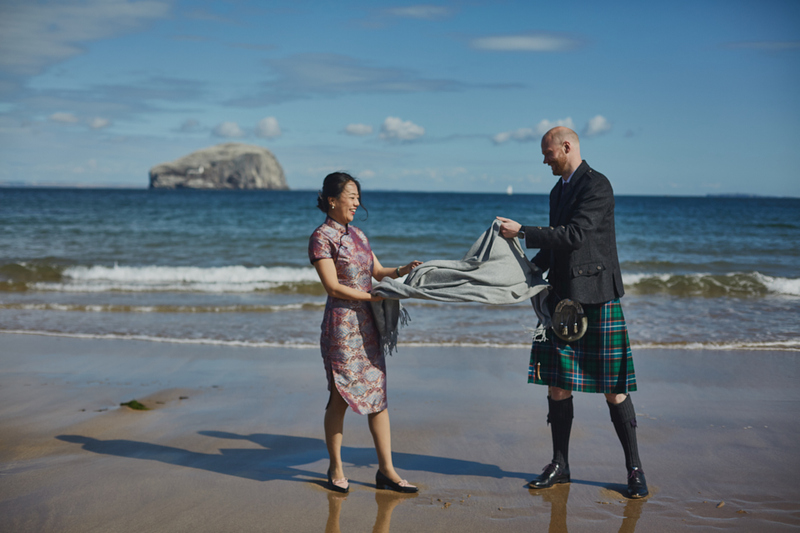 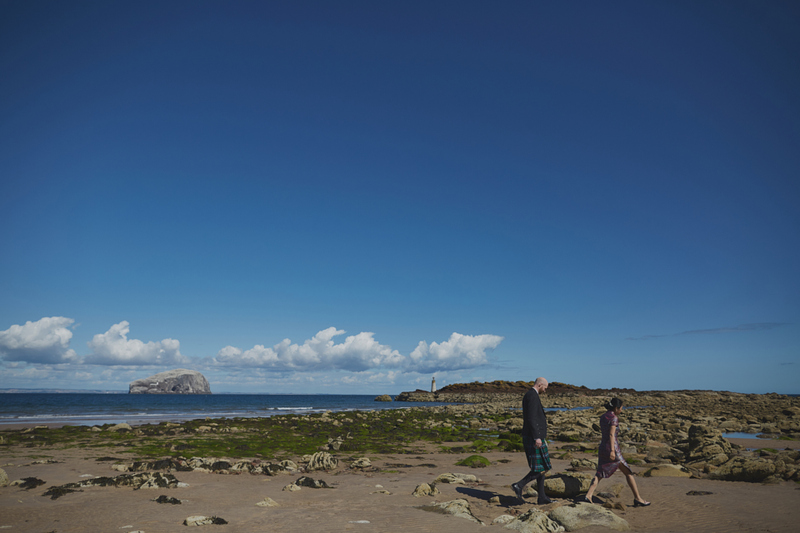 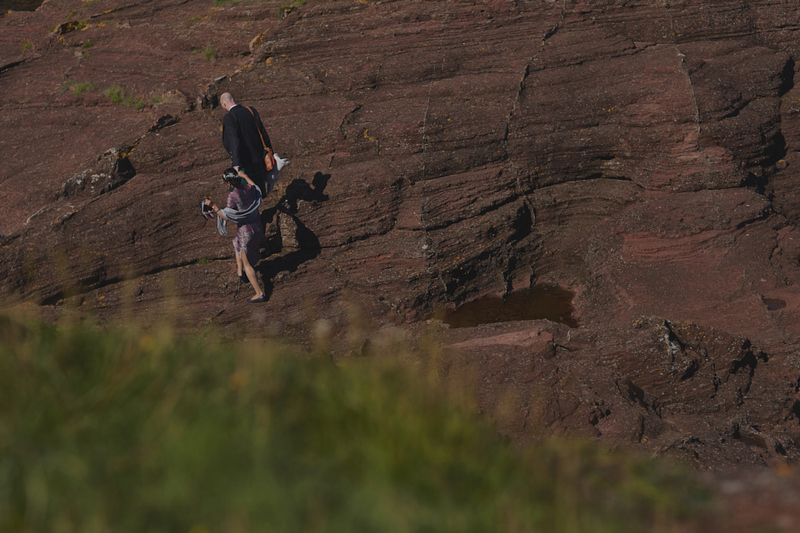 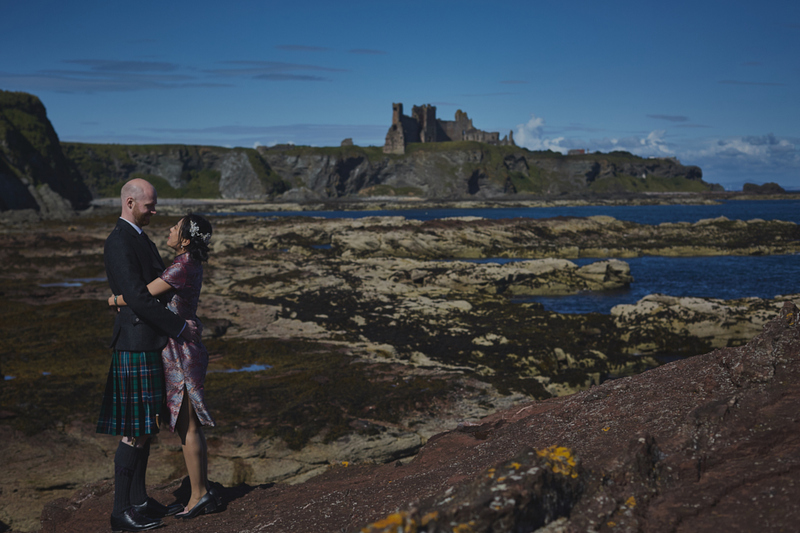 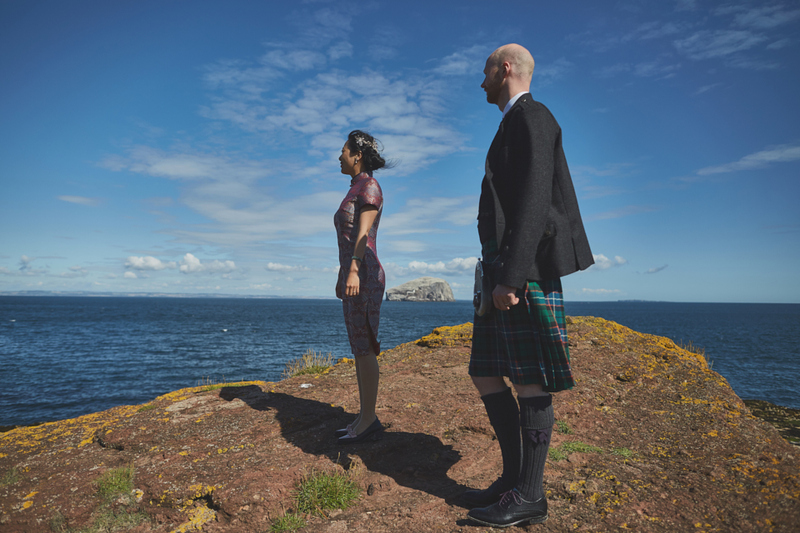 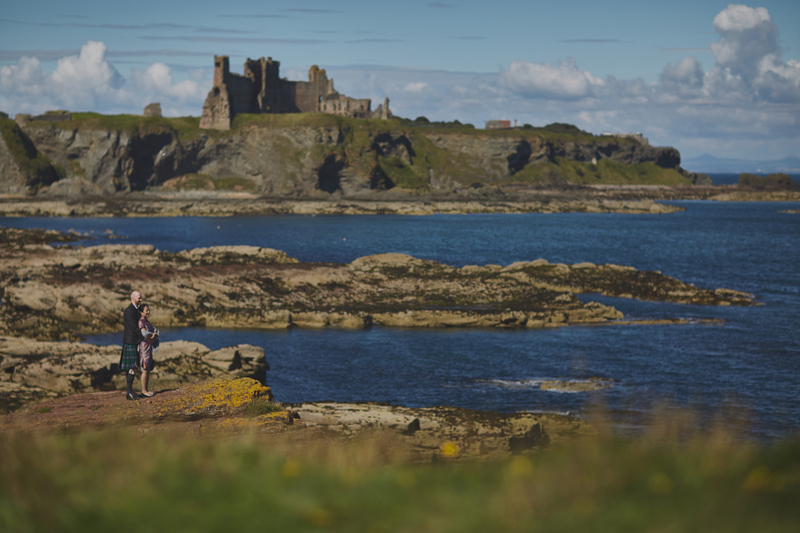 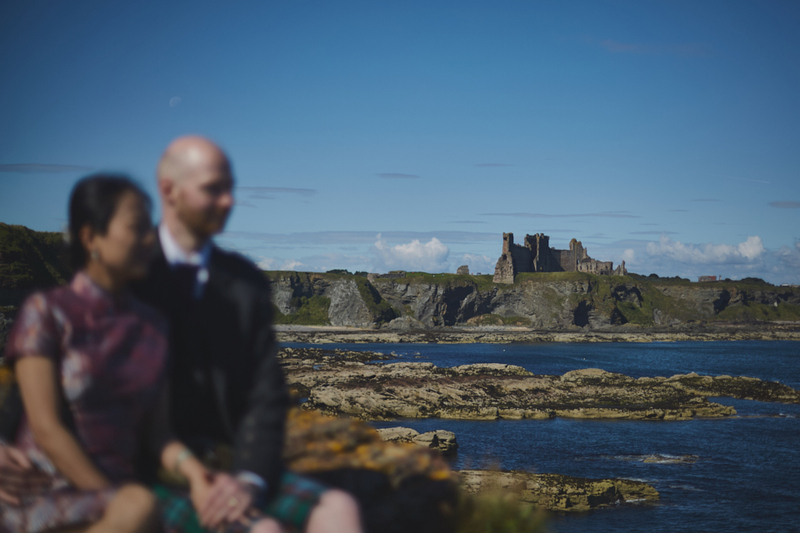 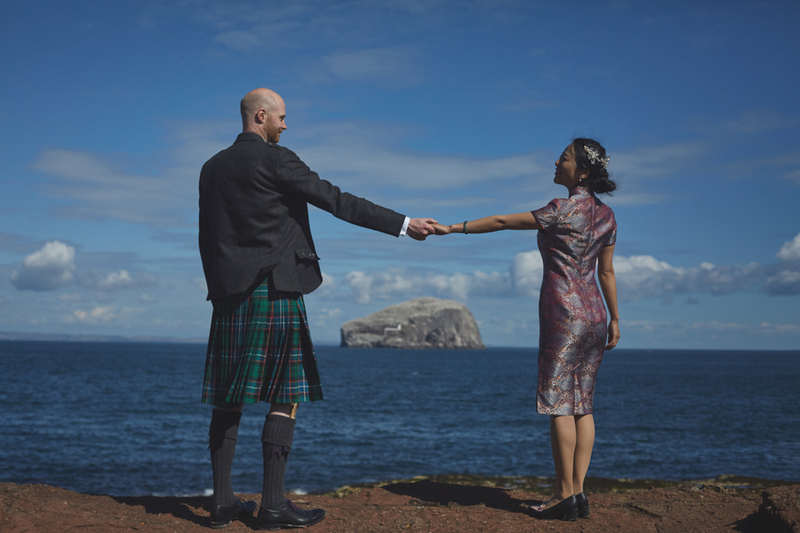 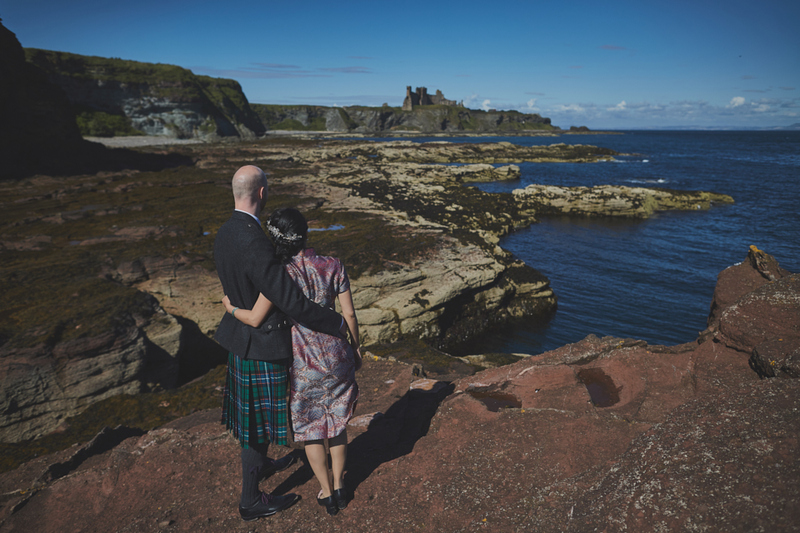 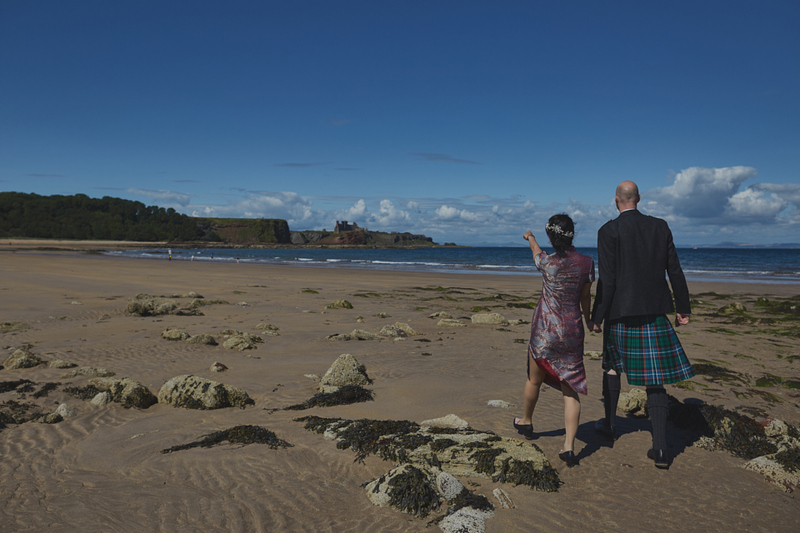 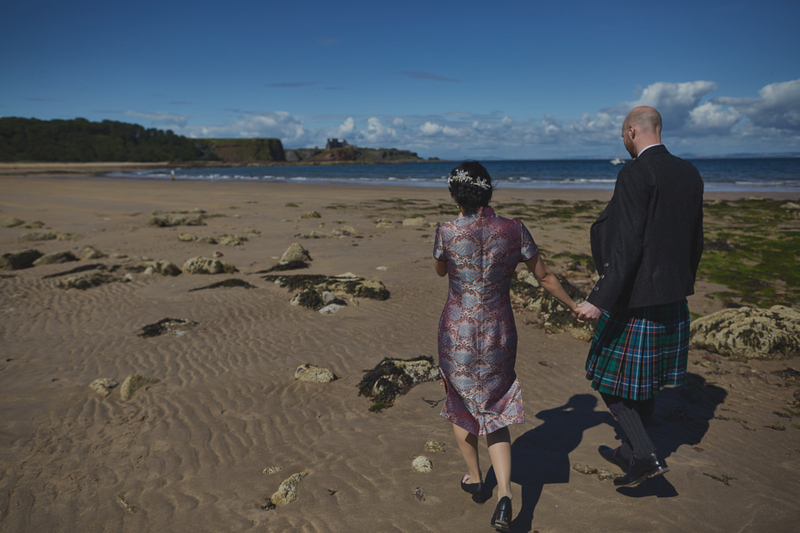 The landscape with little bits of historic touch like the Tantallon Castle was a perfect combination for this couple photo session. 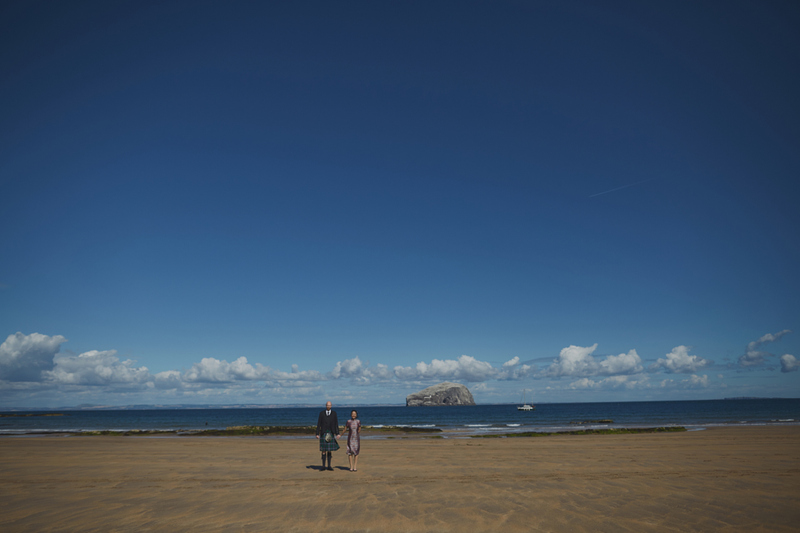 I enjoyed photographing these two happy souls and showing them this beach!